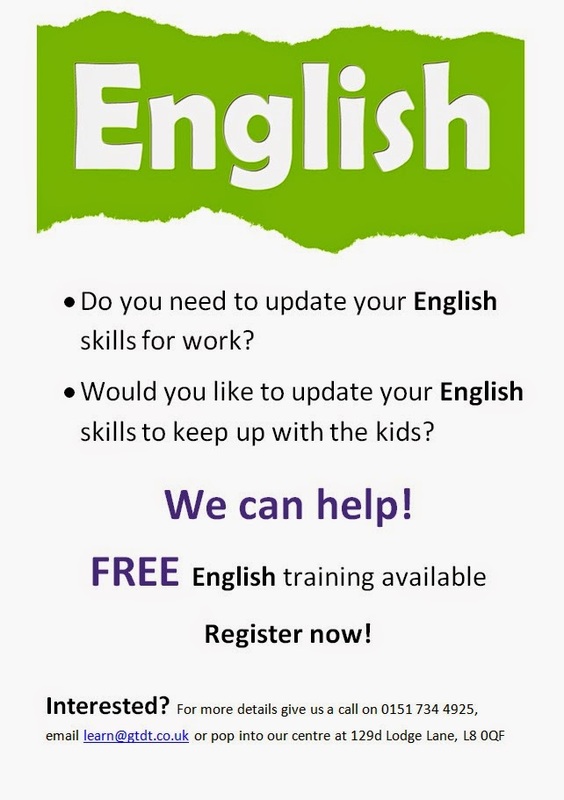 Granby Toxteth Development Trust: Register NOW for Functional Skills English and Maths! 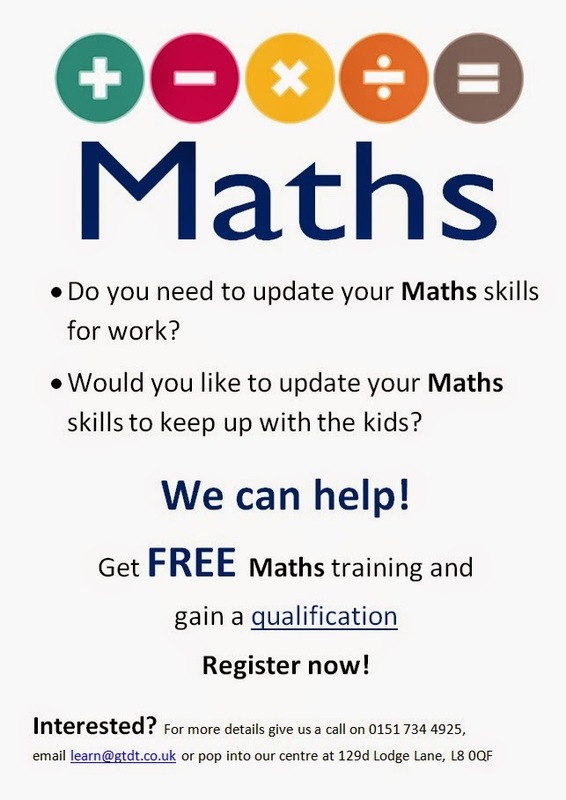 Register NOW for Functional Skills English and Maths! Our deadline for registering for our Functional Skills English and Maths courses is the end of this week. 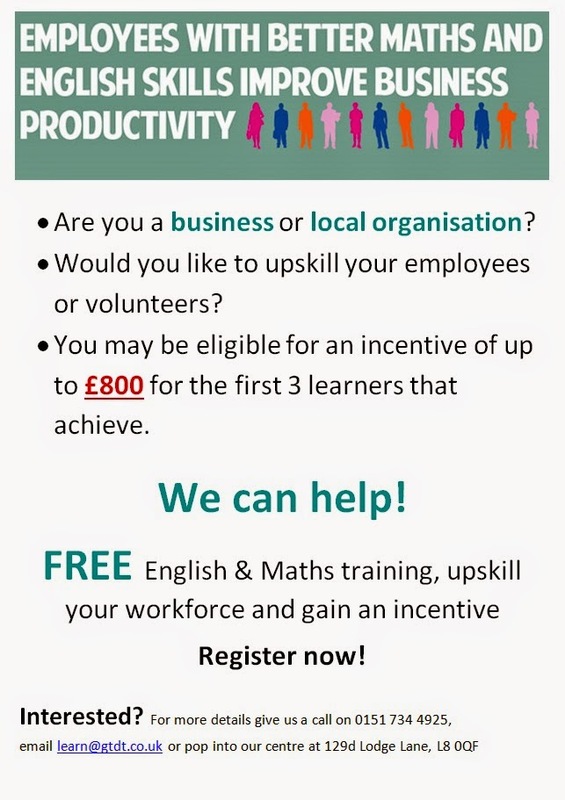 So if you are employed, a volunteer or a small business looking to support your staff register NOW!